Hot news! Hope for CMK! The Council’s planning department has just published its report to the Development Control Committee and is recommending REFUSAL of planning permission to knock down Secklow Gate Bridge, move the market, and damage the Listed Building. 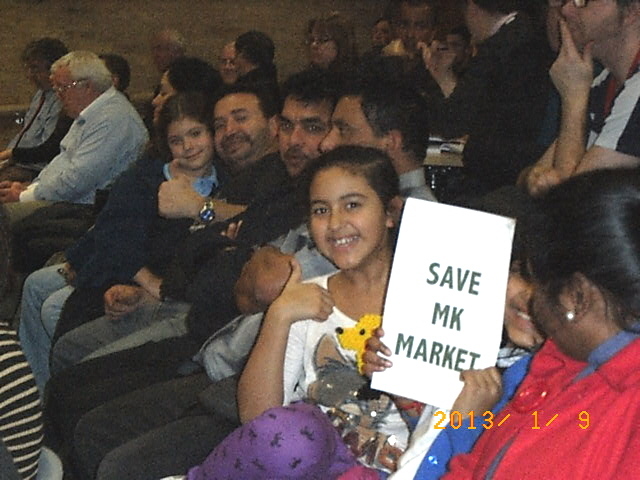 every shop in MK Market is an independent business supporting a family. Brilliant news. BUT the committee can still decide to ignore their advice. PLEASE come along on night of 21 Feb, starts 7 pm, in main council chamber, MK Council Civic Offices, to send a strong message that the public wants them to heed this advice. This entry was posted in 20th C architecture under threat, corporate greed, Destruction of CMK, General, MK Market, Primark, protecting CMK, Secklow Gate Bridge on February 12, 2013 by xplain.